So, this is a serious problem, it looks like we need to implement 2 sets of pages, components and services. Or do we? Since the JSON representation is not tightly linked to the persistent class, we can actually export these Widgets with the property names of the original Widget class, which will then allow us to display and update them using our existing components and controllers. and then we will alter our REST.Widget class to return all WWWidgets in addition to our Widgets. We will implement a second cursor, and push the toJSON representations of these widgets onto our widget array. We can check our REST Service to check that the Widgets from both classes are being returned. Now that we have our GET working, we can work on allowing Update of our new class. 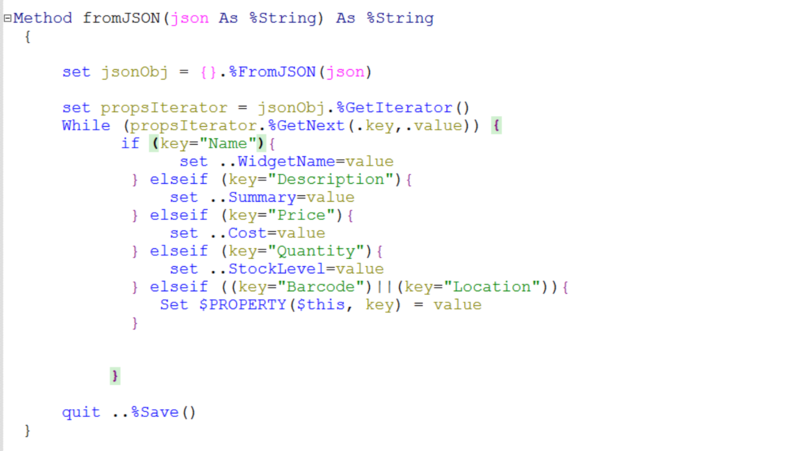 This is a reverse of the toJSON, where we will iterate over all properties we received, and manually map them to the actual properties of the class of WWWidgets. We now need to make sure our PUT service is able to choose between our 2 Widget classes. 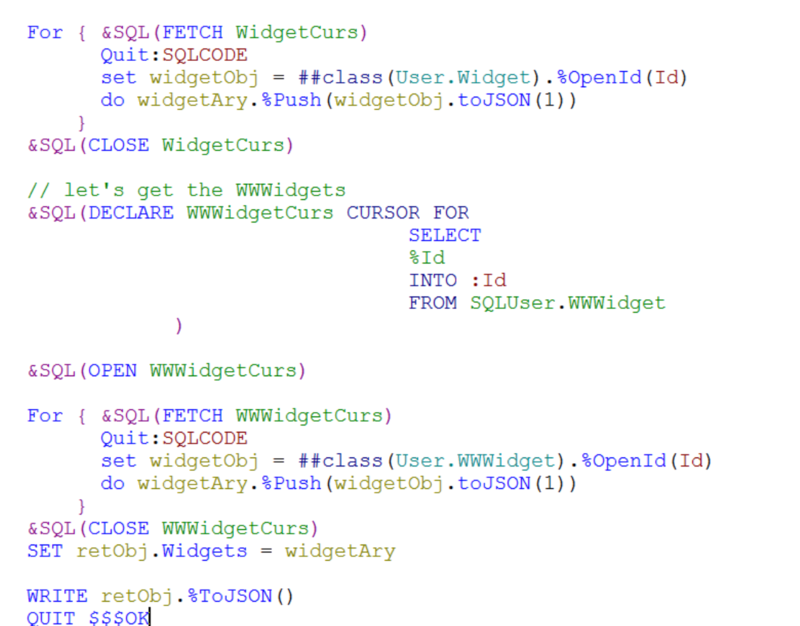 Luckily, we prepended the ID of the WWWidget class with a W, so we have an easy way to differentiate between each class. If the first character of the ID is a 'W' then we %OpenId with the rest of the ID value. Success! 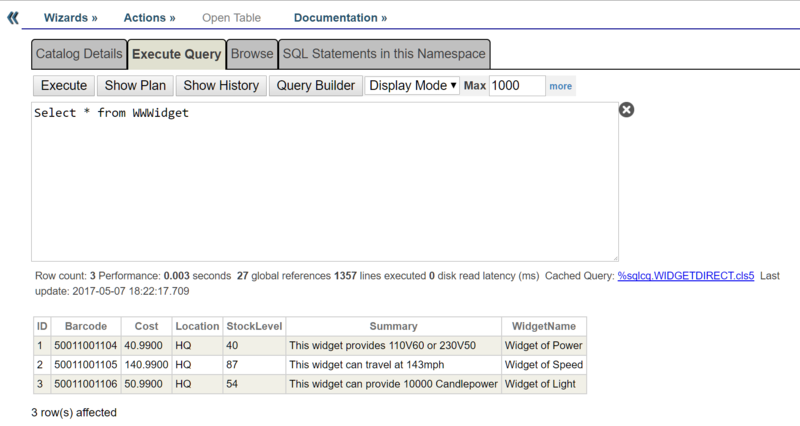 We can now update Widgets in both tables seamlessly. We can implement a similar condition on our GetWidgetById method to load instances of either class, based on the W prefix of the ID.